Blessed with soil similar to France’s Champagne region, vineyards in England nevertheless produced decades of low-grade goop that caused nary a Frenchman to tremble. But a Great British fizz boom is underway, with winemakers crediting climate change for the warmer weather that has seemed to improve their bubbly. Increasingly hospitable temperatures have helped transplanted champagne grapes such as chardonnay and pinot noir thrive in the microclimates of southern England, touching off a wine rush by investors banking on climate change. 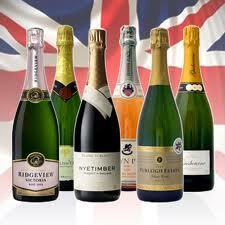 Once considered an oxymoron, fine English sparkling wine is now retailing for champagne prices of $45 to $70 a pop. In recent years, dozens of vineyards have sprouted in Britain’s burgeoning wine country, with at least one traditional French champagne maker doing the once-unthinkable — scooping up land to make sparkling wine in England. British bubblies have bested global rivals in international competitions and were served in lieu of champagne at last year’s Diamond Jubilee celebrating Queen Elizabeth II’s 60th year on the throne. A small but growing export market has found English sparkling wine on store shelves and restaurant menus in Japan, Hong Kong, the United States and Australia. Temperatures here are about 11 / 2 degrees warmer than they were four decades ago, significantly improving harvests. Many climatic variables affect wine grapes. But by at least one measure — average temperatures during the grape-growing season, which are now routinely above 55 degrees here — southern England is beginning to look more like the Champagne region of years ago.